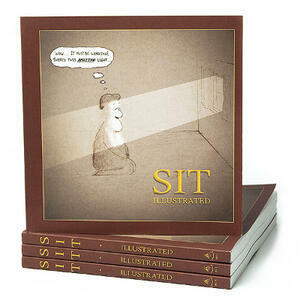 The team that put together Sit Illustrated and the meditation cartoons website is now focusing on… among other things… Music! It’s not just any old music though; music of a rare variety that relates to, chronicles, and hopefully even encourages the doing of good and relevant things (like meditation!) AND is nice to listen to. We are about to launch on a one month tour (by sailboat) with our freshly-minted 8-piece folk-rock band Solaris. We will be playing concerts and at churches and gatherings of different faiths around the Salish Sea, in Seattle, Victoria and Vancouver. Author adminPosted on May 17, 2012 April 27, 2012 Categories A Wow of a Now, Cartoons, meditationTags cartoon, existence, existential, humor, meditation, spirituality, surpriseLeave a comment on Do I Still Exist?